WelCom June 2017: In 1817 St Marcellin Champagnat founded the Marist Brothers in France in the wake of the devastation wreaked by the French Revolution, especially as it affected the education of children. From beginning with two young men, the Order is now found in 79 countries on five continents and numbers about 3500 Brothers, and over 40,000 lay Marists. They work with over 500,000 children and young people. The Brothers’ overall aim is the education of young people, especially the most neglected. While schools are where most of their ministry is carried out across the five continents, Brothers can be found working with young people in parishes, giving retreats and spiritual direction, working in at-risk youth settings, and in young adult ministry. And throughout their 200-year history, overseas missions have been a significant part of their ministry. Indeed, New Zealand was one of these outreaches initially and it has been a vigorous provider of Brothers working in the Pacific – notably Fiji, Samoa, Kiribati, Tonga – and further afield – Philippines, India, Pakistan, Vietnam. From 1876, the year in which the Brothers’ first school in New Zealand opened in Wellington, they have run schools in Auckland, Hamilton, Napier, Whanganui, Palmerston North, Masterton, Lower Hutt, Christchurch, Greymouth, Timaru and Invercargill. Like past pupils of other schools run by religious orders, the Marists’ past pupils are for the most part proud to be known as ‘Marist Old Boys’ and, in recent years of co-ed schools, as ‘Marist past students’. Students in Samoa. Bicentenary badges will be sent to Pacific schools to help with their literacy programmes. Fiji students educated by Marist Brothers. 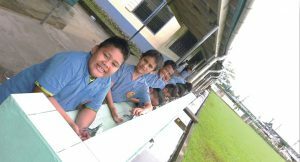 Samoa – Students enjoy fresh running water from the new tanks and drinking fountains at Marist Primary School, facilitated by the Brothers. To mark the 200-years celebration, a bicentenary dinner will be held in June and a Bicentenary Mass will be held at the Sacred Heart Cathedral at 2pm, 14 August 2017. Everyone with Marist connections is most welcome to attend this Mass, especially past and present Marist students and staff including teachers and ancillary staff. Also to mark this significant year, a bicentenary badge has been produced. As a reflection of the Brothers’ interest in student education in the Pacific, for every badge purchased in New Zealand ($3) a badge, will be sent to the Pacific schools. 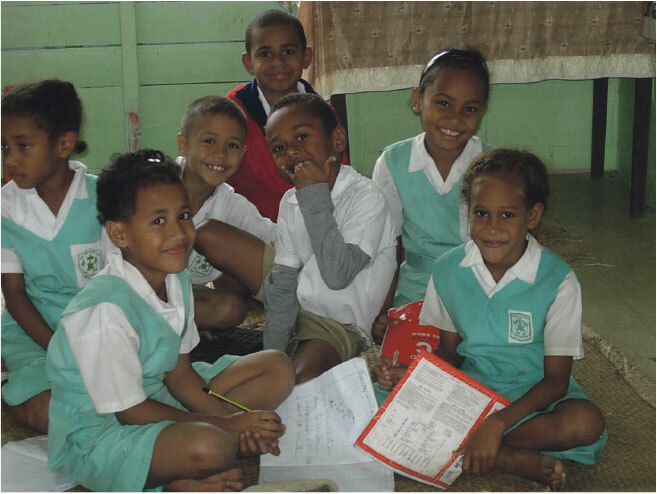 Money raised from the sale of the badges and donations received will be sent to those Pacific schools to assist with their literacy programmes. For further information, contact Br Doug Dawick at brdougfms@gmail.com or phone 021 258-1484. Br Doug Dawick resides at ‘The Grove’, 7 Birch Street, Lower Hutt. Go online to maristbrothers.org.nz to read more about the Marist Brothers.